Preferred Qualifications include: Evidence of statistical/methodological knowledge base and contributions to clinical and translational research that complements existing CHER/SHERC faculty areas’ of expertise; Evidence of effective collaboration regarding research design and analysis approaches using health-related administrative data and clinical data sets, large-scale observational data, national surveys, comparative effectiveness, randomized trials, cluster randomized trials, and/or community-based trials; Leadership experience and expertise in building multidisciplinary teams and developing multi-investigator grants and programs; Experience mentoring undergraduate, graduate students, post-doctoral fellows or junior faculty in health research; Demonstrated ability to translate our published research into policy and practice; and Excellent oral and written communication skills with a wide variety of audiences, including healthcare professionals, community stakeholders, sponsors, and/or policy makers. 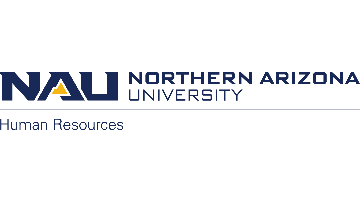 Northern Arizona University is a committed Equal Opportunity/Affirmative Action Institution. Women, minorities, veterans and individuals with disabilities are encouraged to apply. NAU is responsive to the needs of dual career couples. Applications must be submitted through the NAU Human Resources portal at www.nau.edu/hr , vacancy #604163.